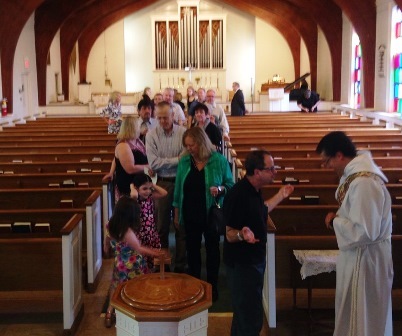 Visitors and newcomers are welcome throughout the year at the Church of the Holy Spirit. All who seek God and are drawn to Jesus Christ are welcome to receive Holy Communion. We encourage you to stay after the worship service for coffee hour to meet some of the people who make up the Holy Spirit family. If you have questions about the Episcopal faith or Holy Spirit in particular, you are welcome to meet with the Rector or other parishioners.